The International Training Course is being organized by the National Bureau of Plant Genetic Resources (NBPGR)-Bioversity International Centre of Excellence. 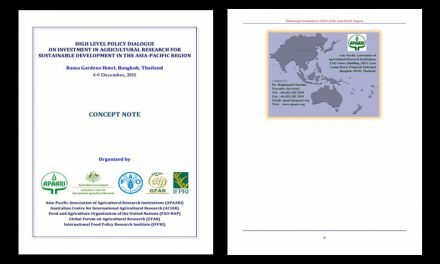 NBPGR is one of the leading institutes under the Indian Council of Agricultural Research (ICAR), New Delhi, India for plant genetic resources (PGR) management. 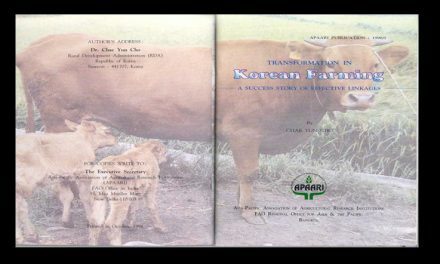 The 2010 training course is being co-organized with the Asia-Pacifi c Consortium on Agricultural Biotechnology (APCoAB), a programme of Asia-Pacifi c Association of Agricultural Research Institutions (APAARI). 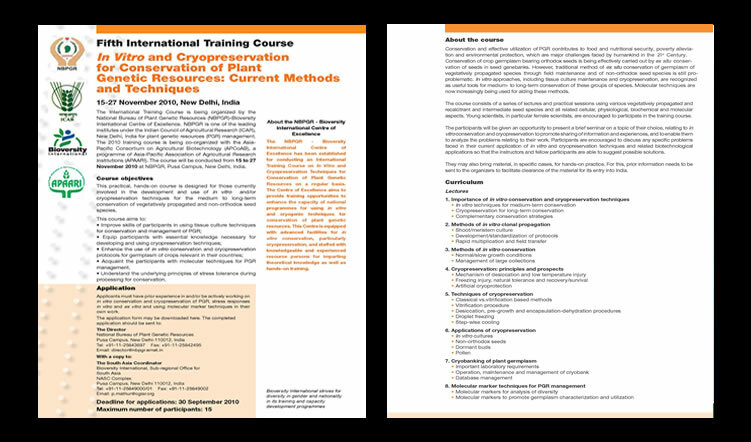 The course will be conducted from 15 to 27 November 2010 at NBPGR, Pusa Campus, New Delhi, India.